The best problem-fixing bills that the businessman’s approach of Sen. Johnson has gotten signed into law. 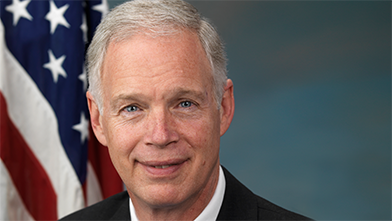 Sen. Ron Johnson hosted this free, live telephone town hall to talk with Wisconsinites about issues important to them. Sen. Johnson pointed out that we all agree on a crucial point: We all want a safe and prosperous America. When we start with other things we agree on, we can make progress. He then discussed his passion for defending Wisconsinites’ rights under the 2nd Amendment, ways to give veterans better health care by improving access and choice in providers, and how a strong America is a force for peace in the world.